Firstly, we would love to send our great thanks to you for purchasing Noo Before After. This documentation covers almost everything to guide you step by step from the start to have your site on air. We encourage you to read thoroughly all sections before you go on. The plugin allows users to easily add items thanks to the compatibility with WPBakery Page Builder (formerly Visual Composer), Elementor, and TinyMCE Editor. FAQ New To WordPress:Popular FAQs about WordPress. They are running on the latest version of WordPress. You do create best secure passwords for FTP and Database. Please follow THIS BLOG learn more about this. There are two ways to install plugin. It belongs to the way you choose your preference. Step 2: Click Upload Plugin button on the top. Step 4: Once uploaded, activate the plugin. Go to Plugins > Installed Plugins and activate it. Note: If you see this message “Are You Sure You Want To Do This” when installing noo-before-after.zip file via WordPress, it means that you have an upload max file size limit. Please try to read this blog to find a solution for your website. Step 1: Login to your hosting space via an FTP software. Step 2: Unzip the Noo-before-after.zip file and ONLY use the extracted Noo-before-after plugin folder. Step 3: Upload the extracted Noo Before After folder into wp-content/ plugins folder. Step 4: Activate the newly installed plugin by going to Plugins > Installed Plugins and clicking the Activate button. Items: Add/Remove/Clone/Order the items in current shortcode. Before Image: Select image or upload image from media library. Before Image Label : (Optional) If leave empty, this label not show on site. After Image: Select image or upload image from media library. After Image Label : (Optional) If leave empty, this label not show on site. Overlay Image: Select image or upload image from media library. Width: Set shortcode div wrap width. Comparison Direction: Set orientation Horizontal/Vertical for all items in current shortcode. Default: Horizontal. Comparison Type: Set the way user view image Hover/Drag/Click for all items in current shortcode. Default: Hover. 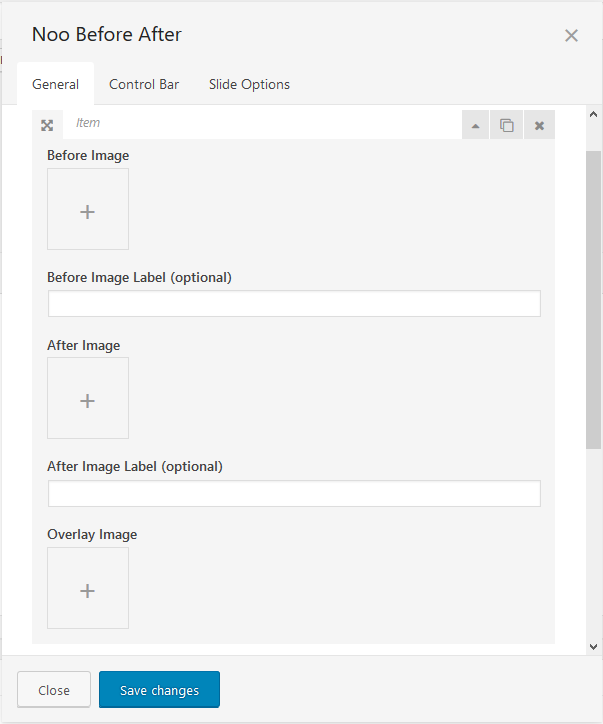 Offset: Set control bar position on image after image comparison loaded. Unit: %. 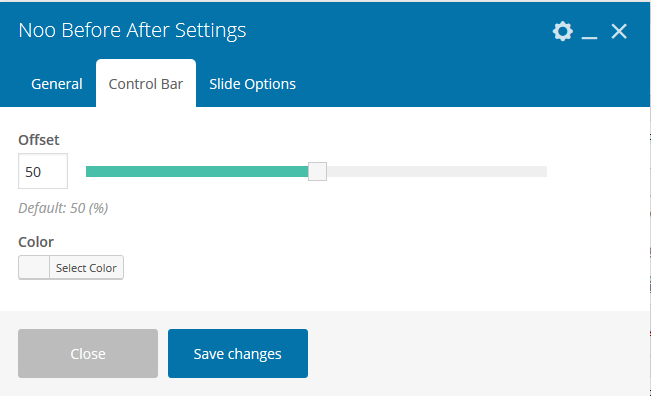 Color: Set color for control bar. Item Per Slide (Desktop): Number item show per slide on desktop of curent shortcode. Default min-width: 1024px. Item Per Slide (Tablet): Number item show per slide on tablet of curent shortcode. Default min-width: 768px. 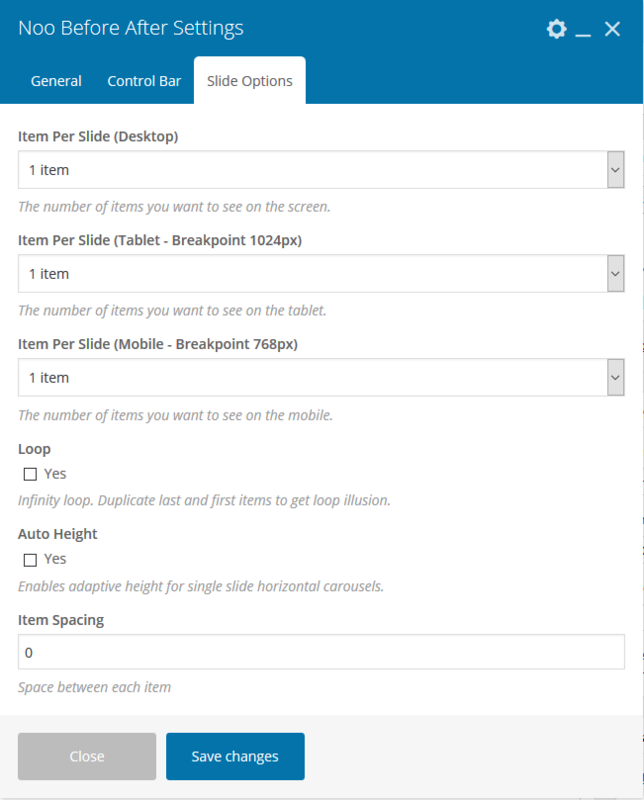 Item Per Slide (Mobile): Number item show per slide on mobile of curent shortcode. Default min-width: 320px. Loop: Infinity loop. Duplicate last and first items to get loop illusion. Default: false. 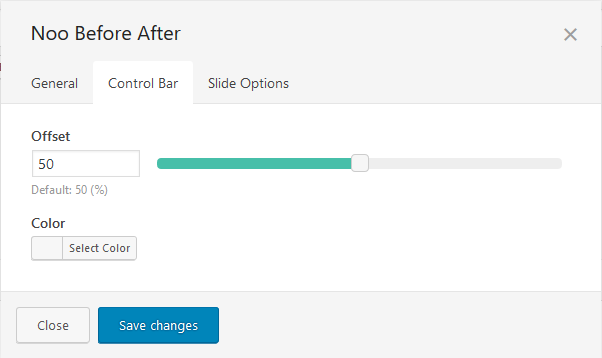 Auto Height: Enables adaptive height for single slide horizontal carousels. Default: false. Item spacing: Space between each slide. Default: 0. Note: If Before Image or After Image is empty the item will not be displayed. The plugin will only show the items that have 2 full before and after images. All options in Noo Before After WPBakery Page Builder Addon are same options in Basic Editor. You can click HERE to see. Select Noo Before After widget in left column, drag and drop to widget area in view area. All options in Noo Before After Elementor Widget are same options in Basic Editor. You can click HERE to see. Step 1: Download and install PoEdittool. Step 2: Open PoEdit and open the .po file of your preferred language in PoEdit and search your line you want to change. To do this, select the Edit button > Find option. Step 3: In the Search Window, type the text string you are looking for. Once it is selected, replace the text in the Translation text area in the lower part of the window with your preferred translation. Step 4: If you’d like to edit another text string, just repeat Steps 1 to 2. Step 5: Click “Save” to save configuration. The .mofile will be auto created. Step 7: Navigate to Settings > General > Site Language to select your language. When you come to this section, we hope that you found all the information provided in this documentation helpful and you have finished installing and polishing your site as what you have imagined of. After reading carefully this guide, if you still need any helps, don’t hesitate to contact us at Noo Support Center. You will be asked to create an account if you are new to us and enter purchase code to post a topic for support. To get your purchase code, please login to your ThemeForest account, navigate to “Downloads”, click the “Download” button on the left side of our theme, choose “License Certificate” to download the license file where you can find the purchase code. Please be noted to post a topic with your issues be clearly clarified. It is recommended you send us together with link of your site and your admin account. These will help to save time for both of us. Finally, please be patient. It will take us some time to check all the topics and we will solve topics from older to newest. 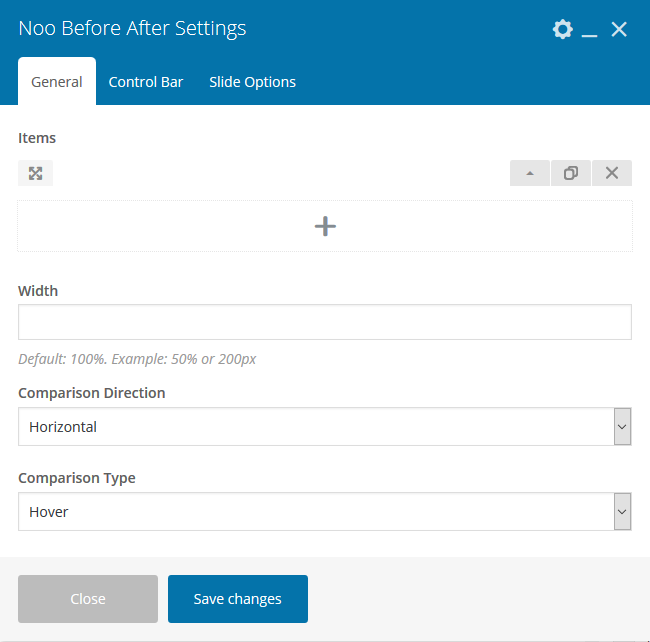 Hopefully, you will enjoy using Noo Before After! Thank you for choosing our theme.